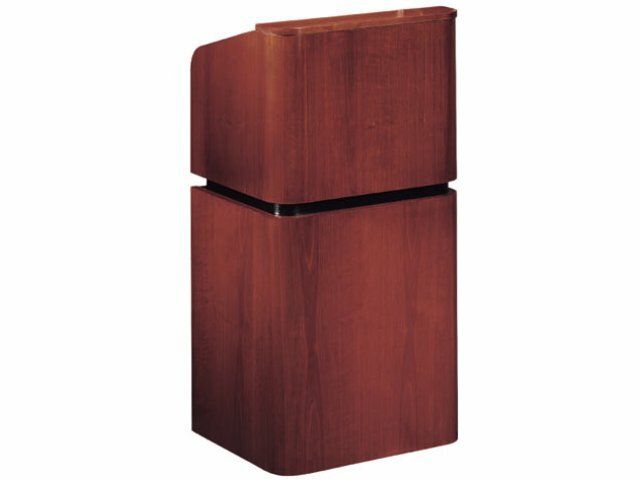 If you are looking for a full-length floor lectern that can be used to host major presentations, this veneer model is a good choice. The lectern is designed with sophisticated radius curves and contoured edging. 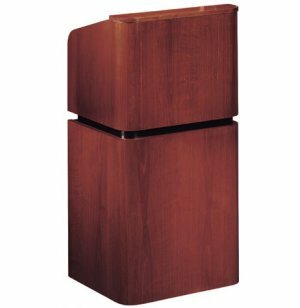 While reflecting a distinguished presence, this lectern can blend in with the design of an auditorium or other speaking hall. Many convenient features are built right in. The concealed reading lamp illuminates the 22"W x 14"L reading surface. This surface is greater than that of most lecterns. In fact, the surface can even hold a standard 3-ring binder. A digital timepiece lets your speaker know how long he or she has been speaking. Ample storage is also included within the base including an open shelf and an adjustable-height shelf concealed behind two locking doors. The doors can be opened with fingertips maintaining the streamlined designed. Despite its size, the entire unit rolls easily on furniture-grade casters. Concealed reading lamp illuminates 22"W x 14"L reading surface. 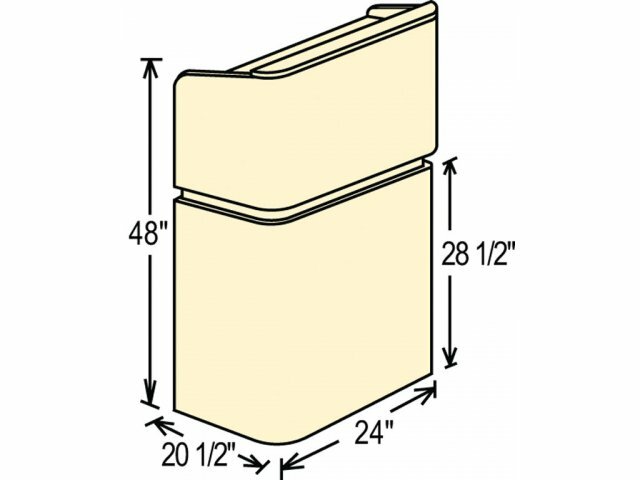 Surface large enough for 3 ring binder. 1 open shelf for convenient storage. 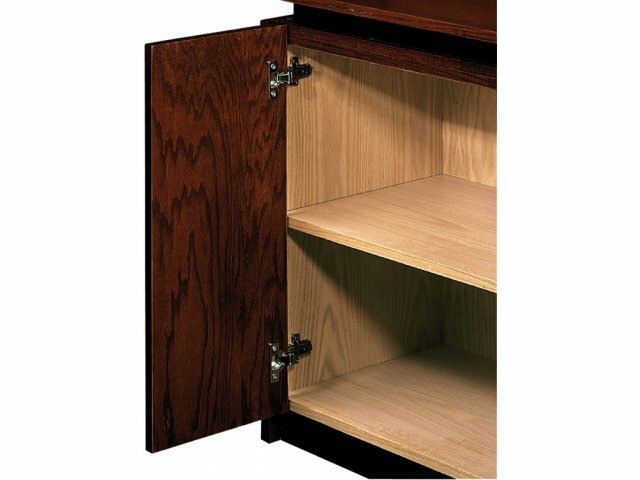 2 locking doors conceal an adjustable shelf with 5 adjustment levels. Fingertip cut out for easy door opening. Rolls easily on 4 furniture grade casters.